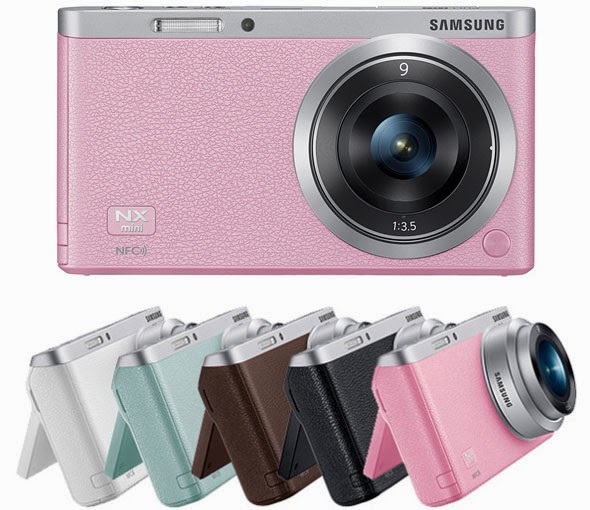 RIDGEFIELD PARK, N.J.--(BUSINESS WIRE)--Samsung Electronics America, Inc. announced today the launch of the NX mini, the world's slimmest and lightest interchangeable-lens camera. The portable and stylish design of the SMART Camera NX mini, along with its stunning image quality makes it the “go-to” device for great photography, allowing users to capture special moments in stunning detail. With NFC and Wi-Fi capabilities, it allows users to take impressive shots that can then be shared quickly and easily, for friends to enjoy in real time. The 'selfie' has found a permanent place in vocabularies across the world in recent years and its popularity shows no sign of stopping. Reflecting this recent consumer trend, the NX mini has a range of exclusive features which allow photographers to effortlessly indulge in the global trend of self-shooting. With a 75.2mm (3.0-inch) Flip up and Touch Display that flips 180-degrees, users can frame images of themselves perfectly. The NX mini’s powerful optical performance provides crisp and clear, high quality images ensuring that the subjects in the photos are always looking their best. With the ultra-slim 9mm wide angle lens, the NX mini can capture group shots from an arm’s length away, so users can easily frame themselves and be part of group memories. Maintaining a flattering pose while also attempting to press the shutter release button when self-shooting can be tricky, but the NX mini's new Wink shot feature makes it the perfect hands-free way to capture the real you. Users simply need to set up their shot and wink at the camera to capture an image. Once a wink is detected, the NX mini takes a shot automatically after two seconds, without having to press any buttons. The NX mini's impressively fast 6fps Continuous Shot mode allows photographers to take continuous shots, so every detail can be captured and no moments are missed. The fast 1/16000 sec Shutter Speed freezes fast moving scenes, allowing for the dramatic capture of motion in crisp detail, without blurring. The NX Mini will be available in early April in a variety of configurations. It will retail for $449, paired with the new 9mm NX-M lens, or $549 when paired with the 9-27mm lens and SEF-7A flash. NX-M lenses will also be available separately. The 9mm and 9-27mm NX-M lenses will retail for $179 and $279, respectively. The 17mm NX-M lens will be available at a later date.